Only a day is left for the royal wedding of Prince Harry and Meghan Markle and people are guessing about who will be the royal wedding for their special day. 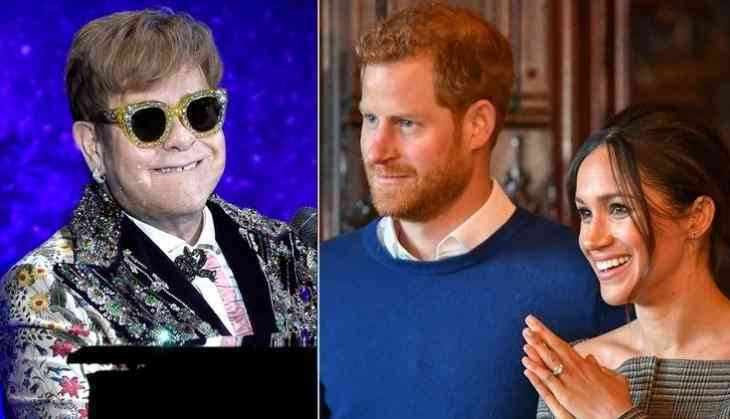 A lot of musicians are invited to the royal wedding but royal friend Elton John has a special connection with the royal family. TMZ reported that royal friend Sir Elton John will be performing on Saturday. John could perform at the church ceremony (which will be televized) at St. George's Chapel at Windsor Castle on Saturday morning or at the private reception at Frogmore House that evening. Previously, he performed devastating version of "Candle in the Wind" at Princess Diana's funeral. John told ITV earlier this year, "Both of those boys are very special to me because of their mother." He also went for a vacation in Sicily with Harry last summer, he could "tell he was totally in love" with Markle. "Both of those boys seem to be ecstatically happy and that's all you want people to be." To mark the 20-year anniversary of Princess Diana's death last year, John and Harry are constantly dicussed Diana's legacy as an AIDS advocate. In the HBO documentary, Diana, Our Mother: Her Life and Legacy. Harry has continued her work today through various initiatives and collaborates regularly with John for the Elton John AIDS Foundation. John also attended Prince William and Kate Middleton's royal wedding in 2011. Although, he didn't perform at their nuptials.